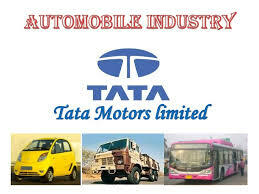 Tata Motors Ltd saw volume of 913.95 lakh shares by 14:14 IST on NSE, a 7.5 fold spurt over two-week average daily volume of 121.87 lakh shares. The stock dropped 17.17% to Rs.151.45. Volumes stood at 161.53 lakh shares in the last session. Tata Motors-DVR notched up volume of 159.45 lakh shares by 14:14 IST on NSE, a 7.48 fold spurt over two-week average daily volume of 21.32 lakh shares.  The stock slipped 13.35% to Rs.81.80. Volumes stood at 18.28 lakh shares in the last session. Balmer Lawrie & Company Ltd witnessed volume of 1.42 lakh shares by 14:14 IST on NSE, a 6.15 times surge over two-week average daily volume of 23079 shares. The stock dropped 4.42% to Rs.177.20. Volumes stood at 28329 shares in the last session. SKF India Ltd clocked volume of 1.04 lakh shares by 14:14 IST on NSE, a 6.05 times surge over two-week average daily volume of 17113 shares. The stock lost 0.31% to Rs.1,924.50. Volumes stood at 17970 shares in the last session. Minda Corporation Ltd registered volume of 3.28 lakh shares by 14:14 IST on NSE, a 6.01 fold spurt over two-week average daily volume of 54548 shares. The stock slipped 3.91% to Rs.136.50. Volumes stood at 37898 shares in the last session.